I love flowers in the house. JT picks me up hydrangeas every Friday. I love hydrangeas they are colorful, big and fluffy. But the main reason I love them is that they last long. I can have fresh cut hydrangeas in my house for over a week. We tried many different flowers like tulips but they just seem to last 4-5 days. 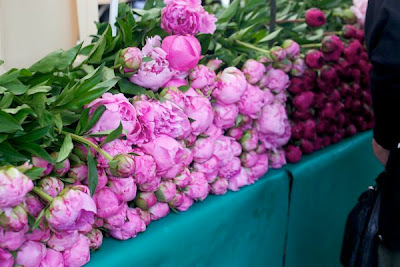 So I just emptied my vase and instead of getting some new hydrangeas I have decided I want peonies. The problem is I can't find them. Well, I have actually looked looked. We buy our flowers at Whole Foods. They have great flowers for a great price and they last. Well, I saw peonies there last year but I haven't seen them since. Every week I walk in there and look but nothing. So today I am going to Whole Foods and if I don't find them there I'm just going to have to call the florist and see if they have them. I'm not a florist type of girl and I don't have florist type of money. I would love to be able to pick up an arrangement or two at the florist every week for my home but I haven't hit that lottery yet. :) It's like Addison's activities or flowers. Hmmm, Addison has been a little crazy lately. Flowers it is! We all know I wouldn't do that to my little prince. 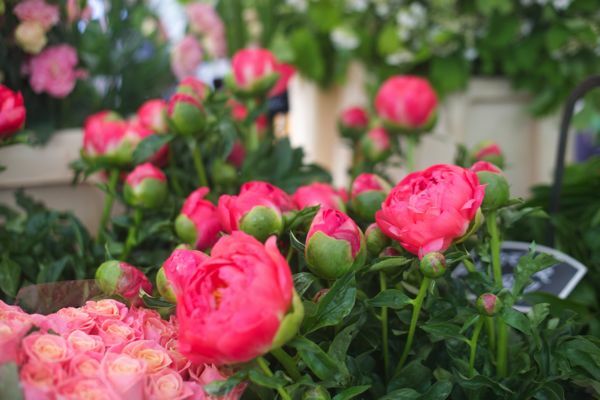 So I guess wish me luck on my search for peonies and pray they aren't expensive or this might be the last peonies I buy. 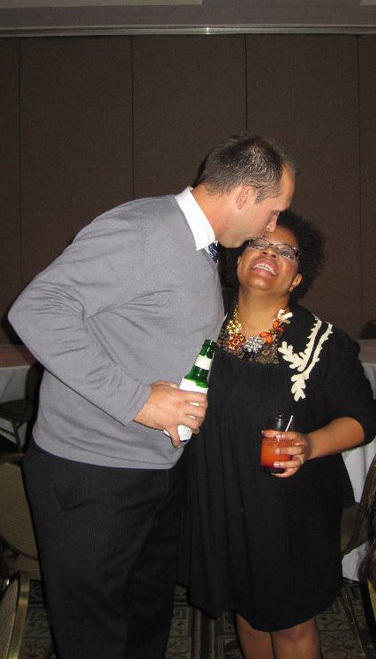 I just read oh happy day blog. 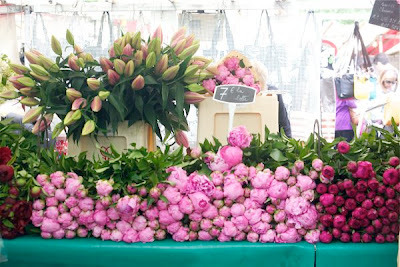 Jordan lives in Paris (jealous) and she says all the Paris markets have peonies right now. Here are some of her pics. Oh before I go it's Wednesday so it's my Favorite Things. I got a new citrus juicer just to make the lemon bars. 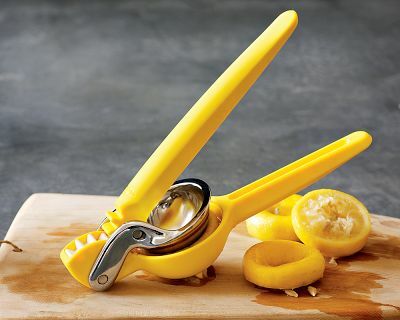 I also realized I needed one when I made the lemon curd. So i went to Williams-Sonoma (of course) and got this one. i'm telling you now if you don't have one don't waste your time with others this is the one. 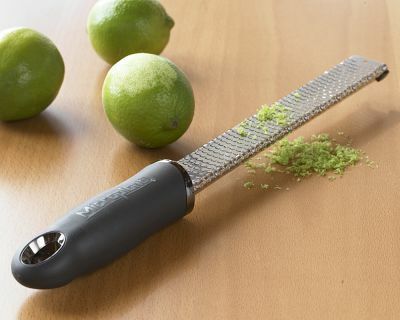 This one gets all the juice out of your lemons or limes. You put the citrus upside down and it ends up turning it inside out. They told me how wonderful it is at the store but I wasn't believer until I tried it. We are going to have lemons and limes all summer. I also have to mention the Microplane graters. I have had many graters and I thought they did I good job until I purchased the Microplane graters. These graters make grating so easy and smooth. I don't know what it is but I love them. I grate a lot, freshly grated nutmeg, cinnamon sticks, lemon, limes, and cheese. When you cook and bake a lot you should have some good graters and these are the ones. I have the rasp grater, a smaller one that does spices, and then a bigger one for cheese. They have a different sizes for everything you need. I just noticed they have a new one just for citrus. I will be putting that on my wish list. 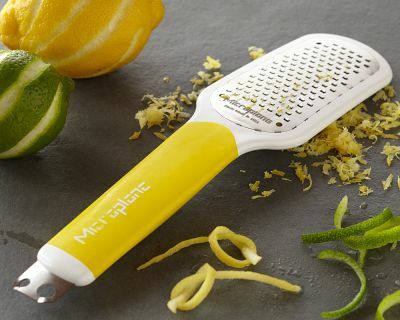 Also go to the Microplane website and see all they have. Williams-Sonoma doesn't carry everything. 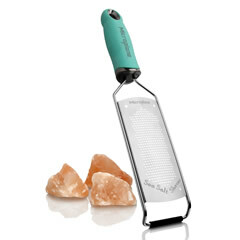 I just noticed on Microplane.com they have a Sea Salt shaver. Wow! Fresh shaved sea salt. That 's a whole other level.